Roger Buck's Cor Jesu Sacratissimum: From Secularism and the New Age to Christendom Renewed is a substantial volume investigating the New Age, its roots and its implications, and the path to the restoration of Christendom. I've written more about the New Age over on my blog here; a position paper on the New Age and the Traditional Mass is in preparation. 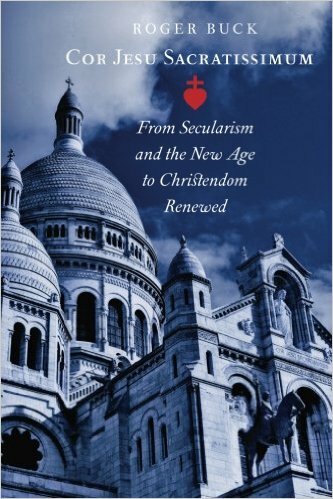 'Roger Buck has done a great service to the Church by his careful and well-informed examination of the New Age, which is both truly charitable and unflinching, and his discussion of wider issues in the Church from the perspective of a former New Age initiate. The invasion of the Church by New Age fads and practices is something of which readers are probably all too well aware, and this problem has been well examined over the years, notably Fr Mitch Pacwa's classic Catholics and the New Age, which explains what, from a Catholic point of view, is wrong with horoscopes, enneagrams and so forth. Roger Buck attempts something more ambitious: an examination of the New Age from the inside. Buck lived in the New Age community at Findhorn in Scotland for three years, and from there established a New Age centre in Cambridge (England) to spread its ideas. His eventual escape from the New Age milieu adds a fascinating autobiographical element to the book, and helps to illustrate what motivates New Age devotees, what outlook they have, and what keeps them there. I believe this to be of the utmost importance because New Age spirituality is in many ways today the spirituality of the West. Explicitly New Age thinkers, communities, and practices are the most visible manifestation of a world-view which you can find everywhere. In order to find the Faith, educated people in the developed world first need to free themselves from the strange mixture of intellectual superiority and superstition which the New Age provides. The keys needed to unlock this dismal prison are provided by Roger Buck, who wants to introduce those attracted to the New Age not to a purely intellectual religion--the kind of religion which they have rightly rejected--but to the riches and warmth of a genuine Catholic culture, which can be provided by the renewal of Christendom.